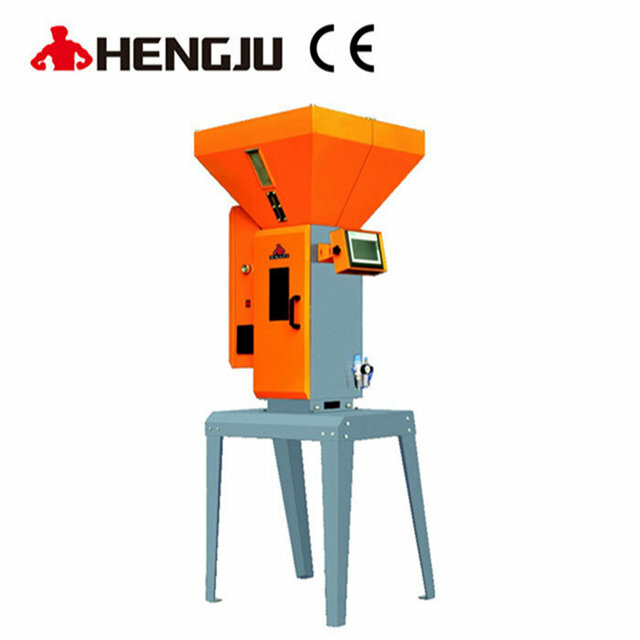 Vertical Blender_Dongguan Hengju Machinery Equipment Co., Ltd.
Vertical stirrers are able to perform even mixture for large volume of materials in short mixing time by utilizing the paddles rotation to gather the materials from the bottom of dump center to the top,shed the material flow back to the bottom and complete the mixing function in short period of time. 1.Spiral circle mixing, makes raw materials mixture more even and fast. 2.Suitable for all kind of plastic raw material & color mixing,virgin, regrind & master batch mixtures will have effective result . 3.Fully stainless steel contacting parts,rust free and easy to clean. 4.Installed with power control device to ensure safety. 5. Customized for drying type model.